It’s Hari Raya today! 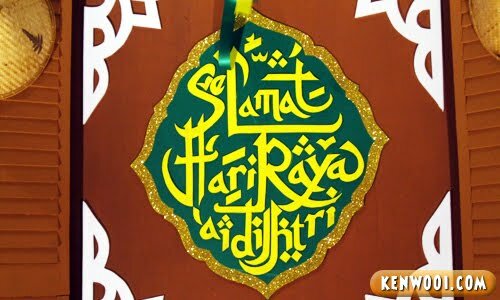 Therefore, kenwooi.com would like to take this opportunity to wish all readers a Selamat Hari Raya, especially to the Muslim community! Have a wonderful celebration! Please give me some Raya cookies okay? 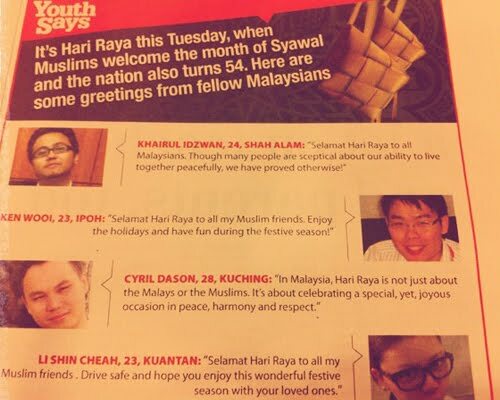 My hensem face and Hari Raya greeting was published on the News Straits Times! Thanks Merryn for the photo. P/S: Stay tuned for “Merdeka Special” entry tomorrow! awesome… kenwooi getting more and more famous.. but you forgot to promo your blog there..
weewitt! kenwooi is on the newspaper..awesome! haha.. Happy holidays bro! And it’s so cool you’re on the newspaper! My idol! thanx kenwooi 4 the wish..
Cheap thrill! LOL!!! Selamat Hari Raya to all celebrating and to the rest, enjoy yourselves. But if visiting friends and neighbours, do remember: Please don’t get carried away – Hungry Ghost month already over. Selamat Hari Raya Ken and Kenwooi.com readers! hahaha ! Thats for says.my one right ?? :)) Selamat Hari Raya ! selamat hari raya n happy holidays!! Hi ken! just wanted to let you know that you’ve been featured in my top blogs on blogday 2011! :) thanks for doing what you do.